In most Slot Gaming Strategies around the World, it’s high probability that seven to eight out of every ten visitors will opt to head towards a slot machine game. Why? Because slot machine games are among the easiest casino games to give players breathtaking wins with the right Slot Gaming Strategies. Slots are also the most widely played game in various casinos around the globe, probably because they require little or no experience to be a participant in the games. Think more gamblers choose to play table games than slots? Think again…Slot Games generate over 70% of the average US Casino income in the United States of America. • Leave Your ATM Card At Home: Slot Gaming Strategies Rule #1 – A player is advised never to approach a slot machine with his/her ATM card. This does not mean that they are incompatible, but can lead one to total impoverishment as the tendency to keep playing is there. In practically every casino, ATM machines are made available for players who are yet to test victory and do not wish to surrender as they believe that their next play will win the long awaited wonder. If a player must go with their ATM Card, he/she should ensure that self control is there! • Choosing The Right Slot Machine: Choosing the right or wrong slot machine can be a crap shoot and the beginning of a players success or failure. The percentage payback, when the last jackpot was hit, and the type of machine are some of the factors that should be considered in slot gaming strategies. Those factors can generally give you a good indicator of how one’s game may or may not turn out. • Play In Premium Locations On The Casino Floor: The area in which a slot machine is located on the casino floor can help sometimes. Those slot machines that are situated in high traffic areas with high publicity sometimes tend to be a bit more liberal in dealing with customers. Wins are more often seen in high traffic areas than in an enclosed area. This could simply be due to the fact that the slot machines located in those areas tend to be set with a higher return to player ratio. Casinos know how to market their product! Also, in older, more well established casinos where the patronage has grown to an extent that it changes the attitude of the management toward its customers, this will no doubt affect the slot machines return to player ratio. Mega Corporations as well as Tribal Gaming are not afraid to make a few extra dollars by tightening up their slot games from time to time by replacing the chip inside. • Play Lower Bets/Denominations: Playing high denominations is not advisable for people who are playing this kind of luck-based game on a small to medium sized bankroll. To play in lower denominations are generally a better option for sheer entertainment purposes and Astute Slot Gaming Strategies. This allows gamers more chances on the machine to gain better experience, and as well, more opportunities to win in the long run after many trials with smaller bet amounts. Remember, it’s all about the entertainment factor! • Pocket Your Winnings / Earnings: To play with money won and earned is injudicious for a player. This can make one go back home with nothing to show for the painful but deliberate risking of money. In fact, it is unwise knowing fully well that winning is not guaranteed when playing the Slot Games or any other casino game for that matter. Be a good money manager while at the casino by learning to manage your bankroll and only playing with it. • Manage Your Bankroll: Your bankroll should be considered only the money you brought with you to the casino. I know this can be hard to do at times, trust me, I have been there and done it, as far as winning big and then ending up playing all my winnings back plus losing the original bankroll that I took with me. It’s not a fun position to be in on that lonely ride home…. Broke! So be wise and try to learn to MANAGE that Bankroll. 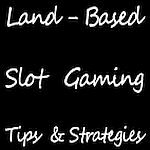 These Slot Gaming Strategies merely help gamers to be on the safe side before leaving the rest for fate to decide. Taking in some of these ‘Slot Gaming Tips’ can help players find this attention-grabbing game worth playing!